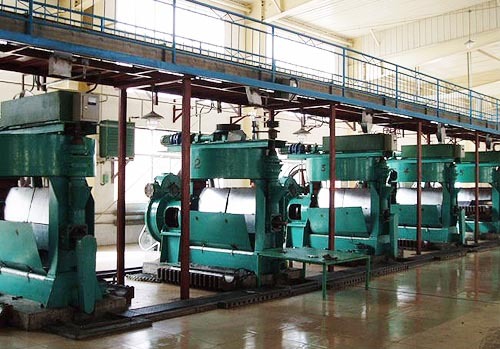 ﻿ Modern Soyabean Oil Milling Plant to Get Oil and Oil Cakes at One Time! You will get soybean oil and its oil cakes at one time if you purchse soybean oil milling plant from us! The soybean oil can be sold for human comsuption while the oil cakes can be used to feed animals! Usually there two ways to extract oil out from soybean seeds: mechanical expelling with oil processing machienry and chemical extraction mixed with hexen! 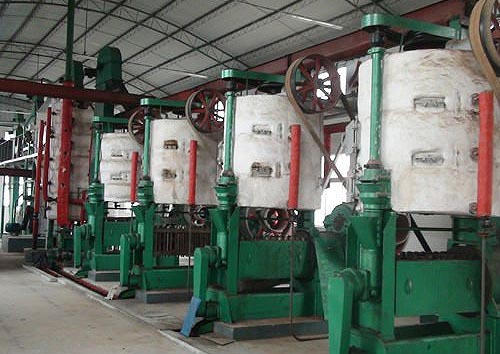 The latter method has higher oilput rate then mechanical method which is widely used in the western world, however not as "healthy" as the mechanical oil milling method. Some oil processing industries choose to combine the two methods together to get healthier oil with higher higher oilput ratio. 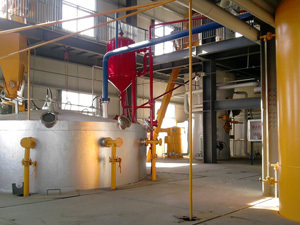 Below are some pictures of the soybean oil milling plant. Before send to the soybean oil milling plant, the seeds should be well prepared to get rid of impurities in case of damage the oil expeller equipment. 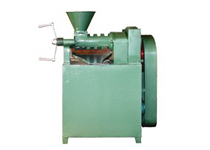 Usually oil milling can be only prepressing in case seeds are lightly pressed, and which leaves about 14% to 18% oil in the pressed cake. However as we mentioned above, this mechanical method lowers the rate of oilput, so it is recommended to build a solvent extraction line to combine the two methid together to balance the oil. There is also another choice when pressed cake is to be sold in the market, it is desirable to recover the maximum oil, we strongly recommend you make use of double pressing. Here either in the same screw press -two stage pressing is carried out or prepressed cake from first stage screw press in sent for re-second pressing by oil expellers. The oil left over after double pressing varies from 7% to 9% depending on the oil seed and extent of pressing. Soybean oil is a vegetable oil extracted from the seeds of the soybean. It is one of the most widely consumed cooking oils across the world. Soybean meal also known as soyabean oil cake is a flour made by grinding the solid residue of soybean oil production. It is widely used as a filler and source of protein in animal diets, including pig, chicken, cattle, horse, sheep, and fish feed. What are you waiting for? Crab this opportunity and email us today to get further information about the soybean oil milling plant!